There is a day coming up this Thursday 14 February that gives us the chance to show others how much we care. Yes, it’s International Book Giving Day. Set up with the worthy objectives to support children’s literacy, instil a lifelong love of reading, and to provide all children with access to books, there seems no reason not to extend the spirit to everyone, including adults. And perhaps including yourself. This could also be a good antidote if you do not have a sweetheart this Valentine’s Day (nor me! ), or if you find the whole business too mushy and / or commercial (and it’s a ‘no’ from me to Galentine’s Day, Pal-entine’s Day, and any other riffs on the theme, I am afraid). If you cannot curl up with a partner, then what else is better than with a book? So in addition to participating in a local activity to raise awareness of the day, I’ll also be finding books to give to my children as well as freshening up my own reading list. 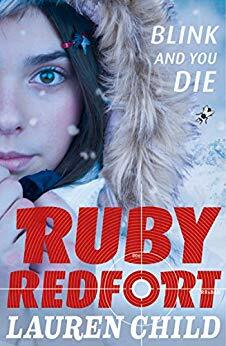 My daughter has been reading her way through Lauren Child’s Ruby Redfort series, while my son insists he wants to collect everything by George Orwell. 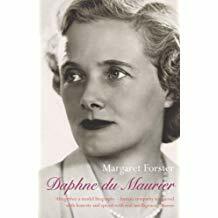 For myself, I love autobiography and biography, particularly of women writers, and have had Margaret Forster’s biography of Daphne Du Maurier (1993) on my list to-read for ages. Whilst obviously far from a new release, I’ll be interested in what one much-admired female writer has to say about another. 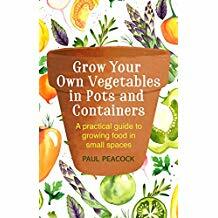 I had our small raised vegetable patch taken out (from our tiny garden) last summer, but think I’ll have a go at growing veggies in pots instead this year (maybe it’s the new craze for stockpiling and growing food that looming Brexit has brought on). So I am also ordering a book to help with that. A bit like cookbooks, I drool over the pictures in gardening books as much as anything else, so that has to be a ‘real’ paper one with the glossy, aspirational images. Along the lines of memoir, at one time I read a lot by Paul Auster. It’s been a while. I am not sure why – simply a case of so many books but so little time, I guess. 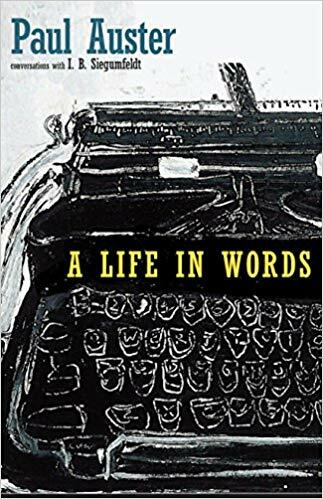 Anyway, his book A Life in Words (2017), from conversations with Linguistics Professor Inge Birgitte Siegumfeldt, looks to be an intriguing insight. And because, in common with Dorothy Parker, “I like best to have one book in my hand, and a stack of others on the floor beside me…”, more is required. 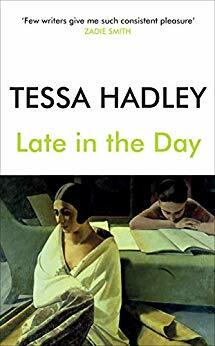 In terms of fiction, I have not read enough by novelist Tessa Hadley (meaning the couple I have read I very much enjoyed), so I am adding her well-reviewed and recently published Late in the Day (2018) to my list. friendship…” – which about covers it. And it seems an apt read for what’s been an especially challenging time this past six months. What’s on your next reading wish list? Okay, full confession – I have stockpiled some loo rolls. This is mainly as my kids go through (as it were) about half a week each in any case. Looking forward to lazy gardening, so raspberries noted. 😮 Gotta have loo roll!!! I can’t wait to read some more of the books on my Kindle. That’s also on the list – like a lot of people, I tend to stock up when they are on offer. I can honestly say though, I have read almost all, and what I haven’t read (a minority) I have tried. i wish my kids would show an interest for books. as for feb 14th, i’ll curl with a book – as i do most nights. I also like the quote of Victor Hugo. My daughter is not a massive reader – I am just glad she found a series she likes! To be honest, I cannot think of anything I’d rather do this Thursday than spend the evening with a book – at any rate, it’s not a red rose in a plastic cone. Thank you. 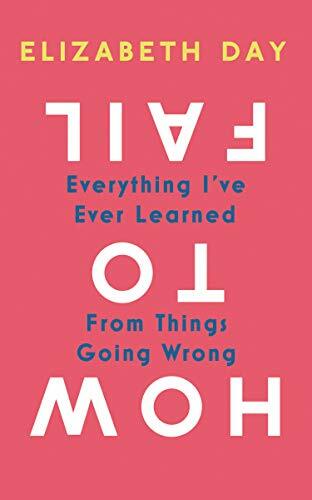 I’ve been reading in a real comfort zone, as I think a lot of us do; this looks like the sort of thought-provoking read that would pull a person out of it. Next in line? To finish Russel’s History of western philosophy. I’m stuck at Kant. 🙂 Kant always does that to me. And then re-read Satyajit Ray’s Short stories. That will be a pleasure. Ah now Kant I can give some view on, having read him on an Ethics course some years ago. Though I think mainly I found him hard to fathom yet a relief after Bentham. Satyajit Ray I was only aware of as a director, not author – apologies. I shall add him to the must-read list. Utilitarianism yes, and a social reformer. Also now as famous for his preserved corpse sitting on display, fully dressed in a glass case, at University College London. Not generally a British tradition, I wonder if it’s a more South American sensibility? I had no idea, just Googled it. What an irony, Vlad wanted to be buried back in St Petersburg with mum (mummy? ), now they’re making a capitalist profit from the corpse. What a perfect day -14! Cuddling with the book – any day of the year 🙂 many of us, if not all… haha at least time to time. I find myself reading more non-fiction spring and summer, perhaps it’s the new projects. Reading planned to May? That’s organised! Book giving day? I had no idea. I hope I remember that next year. And then every year after that. It’s a great idea. I have a book on the social history of the late medieval era. Sounds dry but it isn’t. The problem is that I want to underline as I go, which means it’s not a great one to read in bed or in the bathtub. Doesn’t sound dry at all (especially if you drop it in the bath – sorry). 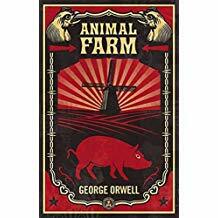 It’s a fascinating period in History, and I agree that social history, the social and economic factors in daily lives, is the most interesting.